This was one of original posts from August 2011. This is one of my most basic recipes and one of my most favorite in the summer months when the corn is fresh sweet and delicious. Simple and Healthy ingredients designed to enhance the flavor of the local corn not disguise it. And fresh tomatoes from the farm! Those of you who have been following me for all these years probably have made this a million times. 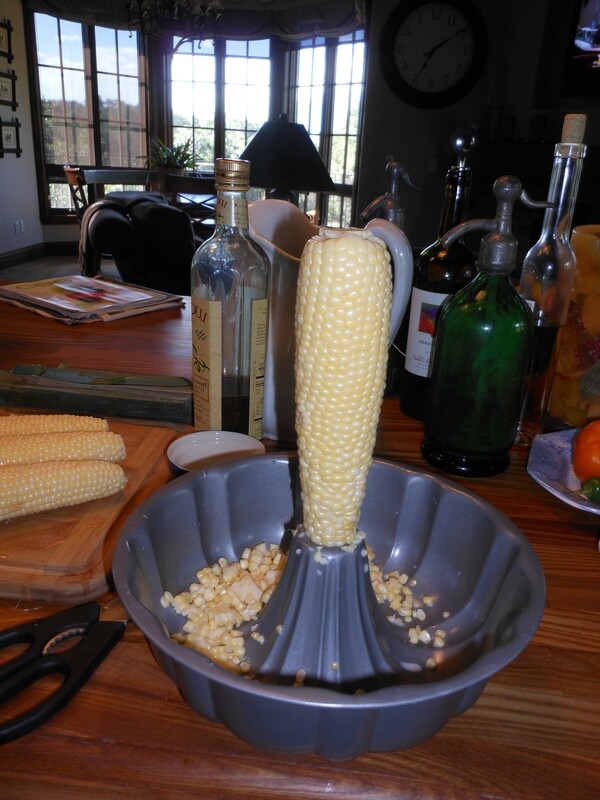 I have a lot of other corn recipes out there but this one is just simply wonderful. Simple being the key word here. Cook the Corn– in a large pot of boiling salted water, cook the corn for 3 minutes just to take the starch out. 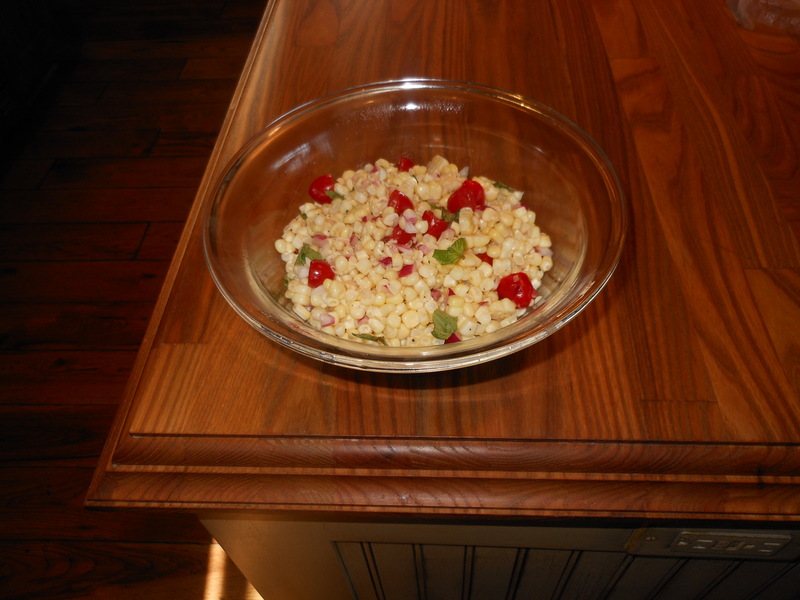 Drain and put in a large bowl of ice water ( use ice cubes) to stop the cooking–corn should turn bright yellow. Once the corn cools down–cut the kernels off the cob. I use a bundt pan which works out perfectly –it helps prevent the kernels from flying all over the place. Add cut kernels to the red onion, tomatoes, olive oil , salt and pepper, and cider vinegar. Cut in some fresh basil and there you have it! A wonderful side dish on your table. This entry was posted in corn, sides, vegan, vegetables and tagged fresh corn salad, summer corn salad. Bookmark the permalink.